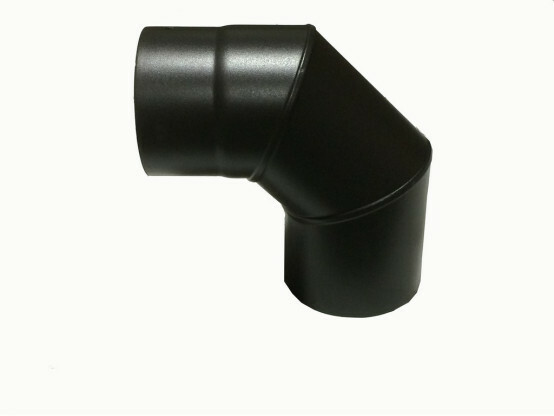 Black enamelled flue pipe 5 inch diameter (125mm) 90Degree elbow section without cleaning door. 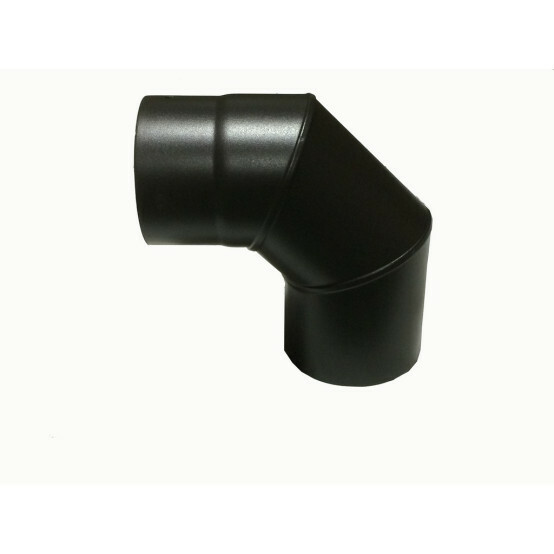 Is the 90 elbow the right piece to come straight out of the back of a burner. Very helpfull on tech query as usual. Order arrived quickly, well packaged and exactly as described. All fitted and waiting for winter to light the fire. Would not purchase off anyone else. Really good service. What can one say about an elbow? What can I say but such a professional company , I wouldn't dream of using any other company. I was told to the flu would arrive in 3 -5 working days it took over two weeks to arrive and when I tried to contact your company by phone I couldn't get through . I also sent an email for a way of tracking my order but was not emailed back very unprofessional company to deal with. Great for the price a well made item you can use with confidence. The stove accessories supplied are of good quality and easy to instal money well spent if your not sure what you need ? Then the staff are very able when it comes to advice. Great service, very fast delivery, perfect.